This #ArtsEdChat will foster discussion about DEVELOPING A FACILITATOR’S ROLE. The research revealed five key themes, and this #ArtsEdChat will foster discussion about DEVELOPING A FACILITATOR’S ROLE. This #ArtsEdChat will foster discussion about EMBRACING THE CYCLE OF MENTORSHIP. The research revealed five key themes, and this #ArtsEdChat will foster discussion about EMBRACING THE CYCLE OF MENTORSHIP. This #ArtsEdChat will foster discussion about INSPIRING OTHERS TO ACTION. The research revealed five key themes, and this #ArtsEdChat will foster discussion about INSPIRING OTHERS TO ACTION. In this third and final installment of the annual Arts Education & Public Art series, hear about what we've learned and explore some specific, replicable examples of crossover between public art and arts education. Filmed at the 2018 Americans for the Arts Annual Convention, watch the third and final installment of the annual Arts Education & Public Art series, hear about what we've learned and explore some specific, replicable examples of crossover between public art and arts education. Explore three years of conversation and research about the intersection of public art and arts education. 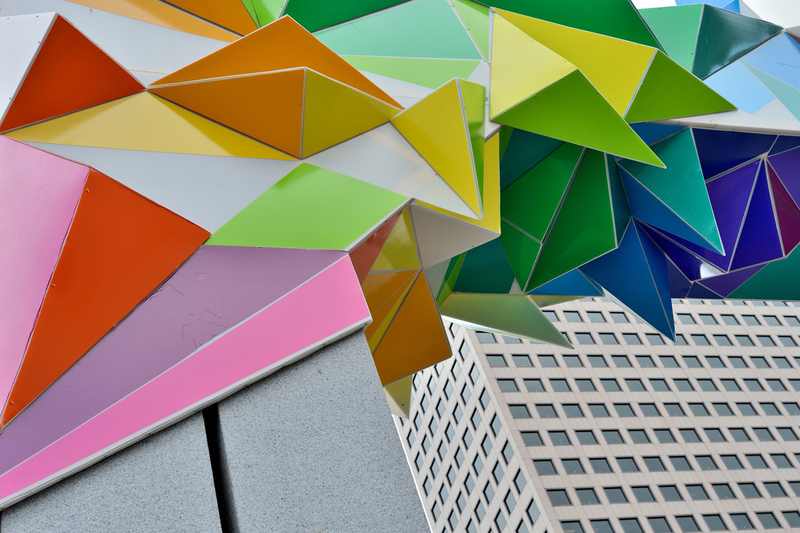 Hear concrete case studies of examples at the arts education/public art intersection. Map next steps, including access to a network of others interested in working more deeply at this intersection. Once registered for the webinar, two additional tabs will appear: the "Handouts" tab includes pre-reading information, and the "Resources" tab includes information mentioned during the presentation and additional resources on the topic of Public Art & Arts Education. Artist and educator Olivia Gude is the Chair of Art Education at the School of the Art Institute of Chicago and a Professor Emerita at the University of Illinois at Chicago. Professor Gude served as a member of the Visual Arts writing team for the Next Generation National Visual Arts Standards. She has created many award-winning collaborative mural and mosaic projects. Her research focuses on developing new paradigms for visual art curriculum; her articles include: Drawing Color Lines, Postmodern Principles, Principles of Possibility: Considerations for a 21st Century Art and Culture Curriculum, New School Art Styles: the Project of Art Education, and Art Education for Democratic Life. In recent years, Gude has united her work as a community artist and art educator by creating participatory spaces in which teachers investigate and re-invent the social practice of art education. James Halliday is a native San Diegan. He attended public K-12 schools, completed the International Baccalaureate Diploma program at San Diego HS in 1999, and had the privilege of being an Aaron Price Fellow, where the connection between civic engagement and public leadership first took root. After graduating with a degree in history from Stanford in 2003, James pursued postgraduate studies in Cracow, Poland, where he lived until 2005. Between 2005-14, he lived Seoul, Moscow, and Istanbul, where he worked for many years in journalism, before transitioning the focus of his work to the intersection of education, philanthropy, and social enterprise. 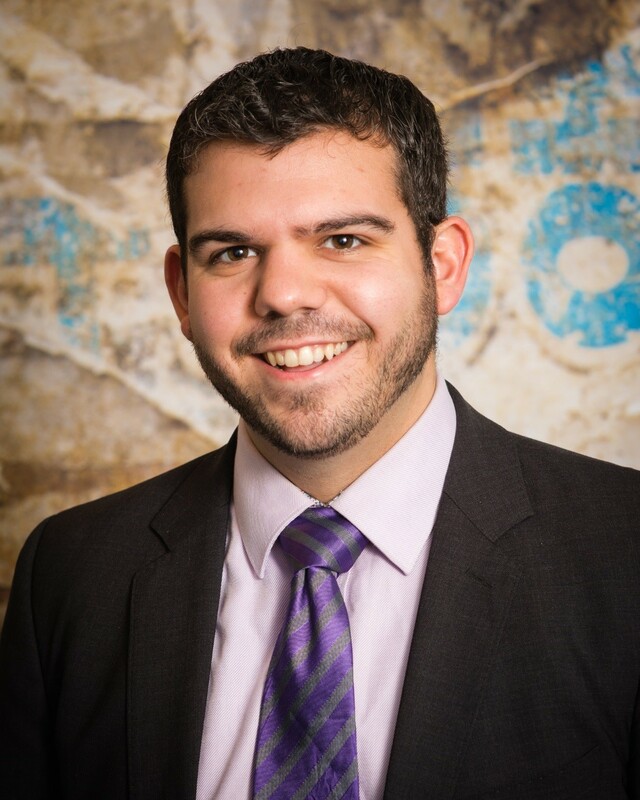 He is currently Program Director at the Education Synergy Alliance, and actively involved in shaping the impact economy for the greater San Diego region through his work with ImpactSD and the local chapter of EPIP. Mike joined ArtsWA in 2007 and has led the public art team since 2011. One of the country’s oldest statewide public art programs, Art in Public Places has been a leader in developing and administering best practices for art acquisition and collection care. Mike has managed more than 100 public art projects throughout the state in the diverse communities of Washington’s public schools, colleges, universities, and state agencies. Prior to ArtsWA, he was an art gallery director with Davidson Contemporary in Seattle and Charles Cowles Gallery in New York. He is a past board vice president for Seattle’s Center on Contemporary Art and currently serves on the Tacoma Art Museum’s Collection Committee, the Advisory Committee for Washington State University’s new Jordan Schnitzer Museum of Art, and chairs the Tacoma Arts Commission. He holds a BA degree in Art History and Studio Art from Oberlin College. Are you interested in hosting a Creative Conversation in your community? Creative Conversations are a great way to connect your local community to a grassroots movement, elevating the profile of the arts in your community and across the country. Join us for a webinar with Emerging Leaders Council Members Brea Heidelberg and Todd Trebour as we take a look at the Creative Conversation process. Learn best practices for hosting your own Creative Conversation, including topics to cover, who to partner with, formatting options, and more. We’ll also take a trip down memory lane as we look at case studies of previous successful Creative Conversations. Participants will learn what a Creative Conversation is. Participants will learn best practices in creating and executing a Creative Conversation. Participants will hear case studies of successful Creative Conversations. 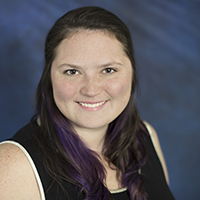 Brea M. Heidelberg is an arts management educator, consultant, and researcher. She is currently Assistant Professor & Associate Program Director of the Entertainment & Arts Management program at Drexel University. She is a board member of the Association of Arts Administration Educators, where she serves as Vice President and Chair of the Diversity, Equity, and Inclusion Task Force. She also serves on Americans for the Arts’ Emerging Leaders Council and on the editorial board of the American Journal of Arts Management. Dr. Heidelberg earned her PhD in Arts Administration, Education and Policy from The Ohio State University and a MS in Human Resource Development from Villanova University. She is the Founder and Principal of ISO Arts Consulting. Her research interests include professional development for arts administrators, human resource development in arts & cultural institutions, diversity, equity, and inclusion in the arts, arts advocacy rhetoric, and cultural management in the African diaspora. Todd Trebour is the Organizations Program Director at the Rhode Island State Council on the Arts (RISCA). Todd manages and oversees the agency’s support for organizations, including granting programs. He also works within state government and in the public to identify new opportunities and provide educational support for arts and culture organizations. Prior to RISCA, Todd was the Program Coordinator for the UMass Amherst Arts Extension Service (AES). Through his work at AES, Todd helped artists and arts students build vibrant careers and businesses through arts management and arts entrepreneurship courses, trainings, and programming, both on-campus, regionally, and online. Before working with AES, Todd was the marketing and development director at Chester Theatre Company (CTC), a professional summer theatre company in the mountain town of Chester, MA. Many arts organizations have established or are considering starting programs to engage young professionals to build a future audience and/or donor base. However, the arts administrators responsible for managing these programs often work in isolation and with little dedicated training in how to make these unique programs successful and efficient. Learn how to manage a young professionals program in concert with other job responsibilities and competing priorities, use resources effectively, and work with volunteers who contribute to the program’s success. In today’s changing political climate, we are seeing more advocates looking to make meaningful change in their communities by running for public office. With a strong sense of pride and passion for the arts and culture, arts advocates are using their knowledge and connections to build support for their platform. Join Guillermina Gonzalez, former Executive Director of the Delaware Arts Alliance and Julia Kirt, Executive Director for Oklahomans for the Arts as they talk about their journey from arts advocate to political candidate. In today’s changing political climate, we are seeing more advocates looking to make meaningful change in their communities by running for public office. With a strong sense of pride and passion for the arts and culture, arts advocates are using their knowledge and connections to build support for their platform. 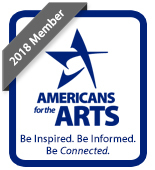 Join Moderator and Former Massachusetts's State Senator Stan Rosenberg, along side Guillermina Gonzalez, former Executive Director of the Delaware Arts Alliance and Julia Kirt, Executive Director for Oklahomans for the Arts as they talk about their journey from arts advocate to political candidate. Attendees will learn about veteran arts leaders entering the political realm. Attendees will learn top takeaways of transitioning from an arts advocate to a political leader.